Back in 2001 the USPS declared the month of April as National Card and Letter Writing Month to raise awareness of the significance of card and letter writing. So every year people across the States devote their month to writing and mailing letters, more so than the rest of the year. In an age where it is easy to send an e-mail, or even easier to send a text, it is nice to take a step back and send something that takes a bit more thought and time. Letters help connect us to each other in a tangible way unlike other communications. This year the Bridgeville Public Library decided to participate in National Letter Writing Month by hosting two letter writing socials! We’re also encouraging people to participate in the #Write_On challenge, where you write one letter for each day in April, if you’re feeling up for a challenge. Our Letter Writing Socials will be held April 4th and April 25th at 6:30 p.m. to start the month out strong, and to wrap up the month with letter writing. We’re planning on providing some letter writing supplies, such as stationary, an electric typewriter, wax seals & stamps, fun writing utensils; as well as inspiration and letter writing bingo! We will also have tea, coffee, and snacks. Letter Writing Bingo is your chance to win some letter writing supplies at the end of the month. For each Bingo you get by completing a letter writing challenge you get one ticket for a library letter writing raffle that will be drawn during the Letter Writing Social on the 25th. 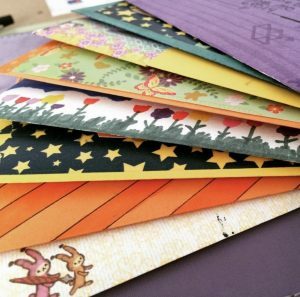 Want to do letter writing at home, but don’t know where to start? We’ve put together some resources that will hopefully give you the assist you need! Can’t think of why you should write, or what you should say? Hallmark has some greeting card messages and ideas you should definitely check out! The Write On Campaign website has a page of Reasons to Write that might be useful in getting started. 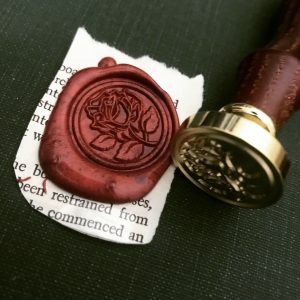 The library also has a Pinterest page! Check out our board on Letter Writing for inspiration and ideas! ← Books N Bites – Bookclub for kids!